The Youda video game series has tried putting you in charge of a marina and a sushi restaurant and has made you try all sorts of activities and jobs such as camping and farming. This installment of the franchise brings you to six different countries all over the world as you bring some much needed life and energy back into the safari parks which will be turned into hunting grounds if you don't intervene and act fast. You play as Lucy in the game, the ever-helpful, supportive, and multi-talented character who can swing things around with a little bit of luck and a whole lot of effort. Your friend has approached you with a call for help: his safari theme parks are doing poorly and if they continue to lose money, they will be turned into free-for-all hunting grounds soon. The games premise is direct: earn money and revamp the parks so you can save the animals. 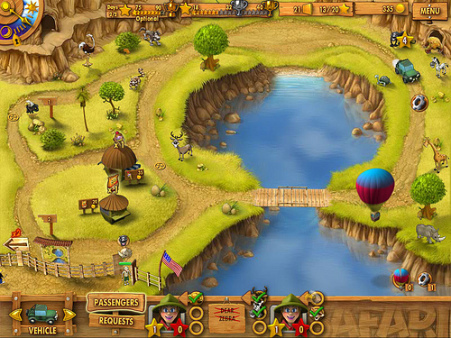 The game begins with a tutorial to teach you the basic actions of the game. You will essentially be taking visitors all around the park to visit and take photographs of the animals that they're interested in. Having one or two passengers who only want to see an animal each is simple but multiply the number of passengers and the creatures that they want to see and you've got yourself a crazy animal party. 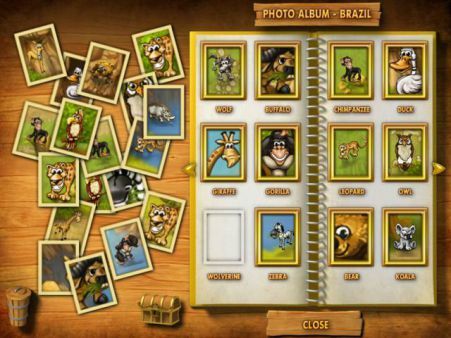 The game also features a mini-game that will allow you to take some select photos of the animals in your safari park and click on special pictures that your visitors have taken and collect them in a gallery which you can view later on. 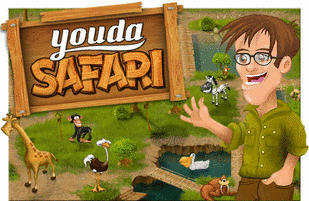 Youda Safari is a time-management that will test your skills in strategizing and scheduling the stops that you need to make all around the park that will consume the least amount of time (and gas). Like most other games in the genre, you will be able to upgrade certain aspects of the game once you accumulate enough money to purchase them. In Youda Safari, you can set up a refreshment stand to earn a little bit more cash as well as upgrade the vehicle for the park to take more passengers and drive more quickly around the property. Youda Safari is a game with a good underlying message. The primary mission is to save the parks from becoming a future hunting ground and that's exactly what Lucy does, if you manage to succeed in the game. The graphics are wonderful and lively and so are the animations. The game seems simple enough and grows progressively more difficult as you move into the higher levels but all in a seamless manner. The tutorial covers everything you absolutely need to know about playing the game in a non-instrusive way, which cannot be said for the majority of the tutorials of other games that I have played in my lifetime. Since you basically have one objective in the game, the activities that you have to perform will begin to feel like a boring routine. Even though you travel to six different safari parks, the only main difference are how the bridges and paths in the parks are laid out. No additional missions, no special challenges, or tasks assigned specifically to each park. Youda Safari is a good game but it could also have come with additional mini-games or random events that might work to challenge the player a little bit more. Drink Wine To Improve Your Omega-3's!